Coronation Street will address William Roache's absence from screen next week, over two months since he last appeared as Ken Barlow on the soap. The ITV programme's longest-running character is not appearing while Roache faces charges of historical sexual offences against five girls. 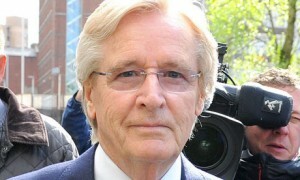 He was last seen in the soap on Monday April 29, but during the double bill on July 12 his absence will be worked into the storyline when his wife Deirdre, played by Anne Kirkbride, reveals that he has flown to Canada to support his unwell grandson Alan. Deirdre will tell Tracy, played by Kate Ford: "Canada is a long way away and he's got no other family. Blacking out like that is frightening, and he collapsed at work." Tracy will reply: "So dad just drops everything. You know something, I can't imagine he would ever do anything like that for me." Roache, who denies all the allegations against him, will next appear in court on September 2 and a provisional trial date has been set for January.